Cryotherapy Treatments For Rheumatoid Arthritis, Shrewsbury. 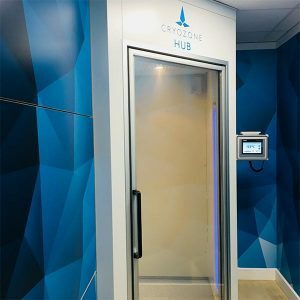 Cryozone Health. 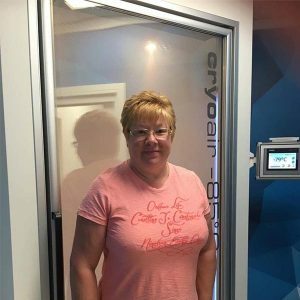 Cryotherapy started as a therapy for people living with rheumatoid arthritis in the 1970’s. Theres no cure for Rheumatoid arthritis, but the goal of our treatment is to delay progression and decrease symptoms of this auto-immune and chronic condition. During a cryotherapy session, the body limits blood flow to the body’s core. The blood travels through the cardiovascular system where it is cleansed of toxins and supplied with oxygen, nutrients, and enzymes. Once you step out oxygen-rich blood is delivered around the body, boosting energy levels. This stimulates the immune system and the response reduces inflammation and tissue damage. For best results we recommend starting with 2-3 sessions per week for the first Month, then 1-2 sessions per week moving forward. Our treatment can be used along side physiotherapy and traditional medical practices to improve overall quality of life. I can highly recommend having this therapy, it works for me! I have arthritis, fibromyalgia and migraines among other things and the difference it’s made going in the chamber has been really beneficial, so much so that I have cut down on a lot of my meds. Give it a try you have nothing to loose but will gain lots. The localised treatment also works really well for me after I’ve had a migraine, only wish I could magic myself there when the migraine is in progress, that would be wonderful.